Our skilled electricians will service all your electrical needs, including repairs, installations, and home electrical upgrades. We are a trusted electric business in Bismark providing reliable commercial services in town. Western Edge Electric Inc., installs agricultural irrigation systems, climate controls, back-up power, energy-efficient lighting, and more. WELCOME TO WESTERN EDGE ELECTRIC INC.
We are an electric contractors company located in Bismarck, North Dakota. Western Edge Electric Inc. is a business that services residential, commercial, and industrial customers. We have a Master Electrician License #1130. 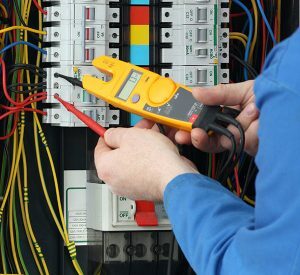 We pride ourselves on being able to say that no matter if it is residential, commercial, or industrial work that you desire done, we make sure that we give you high quality electric service that you will be pleased with. With an owner and workers that are dedicated to the work that is done and devoted to ensuring the work that is done is done promptly for every customer and that you are able to rely on us for having the best rates that you will be able to find in Bismarck. 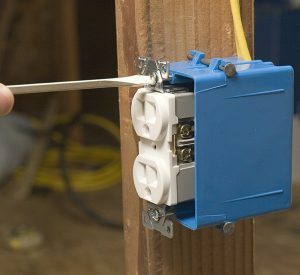 Our residential electric services include: cable location, home re-wiring services, fire safety smoke and carbon monoxide detectors installation, boiler control, electrical heating, house surge protection, indoor and outdoor lighting installation and more. Whether you are looking at a new installation or an upgrade to your existing commercial system, we can assist you using our expert knowledge and high quality standards. We make sure you have the most energy efficient building that gives you the best performance. We provide services in the communications and agriculture areas. These might include climate controls, irrigation systems, back-up power, energy-efficient lighting, wireless networks, fiber optics, telecommunications and security systems. 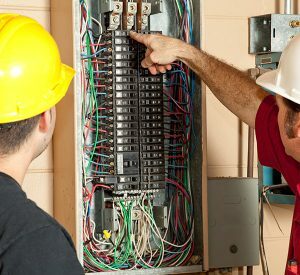 We pride ourselves on being able to say that no matter if it is residential, commercial, or industrial work that you desire done, we make sure that we give you high quality electric service that you will be pleased with. We aren’t just a company that says we offer the best work but we show this very fact.